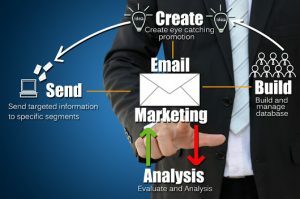 When you want to create a successful business, and you are using email marketing, it is important to understand that email marketing details matter. Sure, we all want to create a powerful looking email newsletters that is attractive, easy to read, and most important: generates clicks to our offer. I’ve been doing email marketing for over 17 years and I find that it helps when I take a moment to look in to my email marketing details to catch some simple and very common mistakes. Sending irrelevant or outdated information. Things change. Sometimes, the offer itself changes, pricing changes, the company moves, policies change, a phone number changes, an email address changes. Sending incorrect links. Sometimes, my fingers fly too fast for my brain and I type a URL incorrectly. Recently, I found a campaign with one letter missing which caused the clicks to take visitors to the wrong place. It was easy enough to fix and I’m glad I caught it early! Incorrect or Missing Social Media Links. Seems obvious, doesn’t it? But I’ve had a time or two where I didn’t double check my links and I discovered that my Youtube channel link was dropping visitors off in outer space somewhere. How did I know? I checked my stats and noticed that a link was getting clicks and that link was wrong. It is pretty easy to let these things slide, but it really makes sense to take a few minutes to check on your work. You work to build your list. You craft your message to get a response. Make sure your message is clear and relevant. Make sure your links take visitors where you want them to go. Email marketing details really can make a difference. You clicked the “Instant Removal” link on two of the letters you received and were removed.